“Wotton does not wish to lose its Library facility”, said David Baird, Chairman of Wotton-under-Edge Historical Society who has submitted a proposal on behalf of the Trustees of the Society who feel that they could provide a unique opportunity for the Heritage Centre to expand its operation and prevent the Town from losing a valuable asset. Gloucestershire County Council has already identified Wotton-under-Edge as a location which would provide a “Library Link” service as a minimum facility for the town. This would mean that the library service for the almost 6000 residents of the town, plus residents of surrounding villages, would be reduced to a service which would be staffed for only 3.5 hours each week (instead of the current 25 hours) and would possibly be moved and co-located with other service providers. As the mobile library service is being completely withdrawn under the proposed cuts in service, more people than ever from surrounding villages would rely on Wotton for library services. However the Society believes it might be possible, with some negotiation, to extend this into a “Library Express” facility or something in between. For the past 15 years, the Society has operated the Heritage Centre - a fully accredited Museum, incorporating a Research Room, Souvenir Shop and Tourist Information Point at its current location in the Chipping. This is wholly staffed by volunteers, for 23 hours each week in the Winter months, which could possibly be extended to meet the minimum standard of 28 hours; and 29 hours weekly in the Summer months. There is also flexibility here for an evening session and some Sunday afternoons in the Summer! No other partner could offer this. The Society already has strong links in the community, with education as its keynote, and parallels those of a Library Service. Indeed the Research Room already contains many books, manuals and computerised records, photographs and illustrations of the Town and adjoining parishes. The Heritage Centre would offer to lease the library building as offered in current County documents and relocate from The Chipping to Ludgate Hill. The current layout could be altered to strike the required balance between the Library and Heritage Centre facilities. This would give additional display, research and education opportunities for the Heritage Centre and increased space would be available for the Tourist Information Point and Sales area – a “One-stop shop” for the Town’s cultural needs. Only last year, the building at Ludgate Hill underwent extensive renovation at the ratepayers’ expense and both the Town Council and the Historical Society argues that this building should be leased to the Society and remain in community use. If the project meets with approval, the Heritage Centre’s existing location in The Chipping would then revert to the Town Trust (of which the Town Council is Trustee) and could potentially provide, with minimum adaptation, an alternative venue for a voluntary Youth provision, or re-let. This could help address another critical need for the community as the current Youth Club will also be closed and disposed of in the County Council’s current plan. 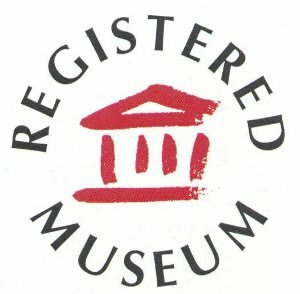 The Historical Society is currently preparing a recruitment campaign to encourage more members, as well as the recruitment of additional volunteers to assist at the Heritage Centre. Giving these volunteers an opportunity to preserve a Library service in the Town, to make an even greater contribution to their community, would enhance the appeal. The Society’s Trustees are circulating their members and volunteers with this proposal and inviting them to email or write to their local Member of Parliament Geoffrey Clifton-Brown to pledge his support for the proposal, and to Gloucestershire County Council’s Leader, Mark Hawthorne and other Officers, urging the County Council to make good its expressed intention to hand over control of such services to those communities which wish to take them on. The Trustees and Town Council have also requested a joint meeting with County Council Members and Officers to discuss the feasibility of the proposal. Wotton-under-Edge Town Council and County Councillor, Dr John Cordwell would prefer to see the current library service retained but both support this as a viable alternative if the cuts go ahead.